Bhopal, June 15: Against the background of countrywide criticism over their letters for prayer to ‘save constitution’, ‘to elect a new government that would protect plurality of India’ and ‘to protect the human rights’ the Catholic Bishops have decided to teach constitution in their schools to educate the students. According to ucanews.com, all the Catholic schools in India will introduce a syllabus on Indian constitution to promote values of human rights and secularism among the students. This step is taken as a counter to the claims by the Hindu groups that church leaders were trying to destabilize the country at the behest of the Vatican by promoting human rights and secularism. The Catholic Bishops’ Conference of India (CBCI) the umbrella body of Catholic Churches in India has issued a circular on June 11 through its office for Education and Culture to all the Catholic educational institutions asking them to introduce the syllabus on constitution during the coming academic session beginning June-July. Archbishop Thomas D’Souza who heads the Education and Culture office said that they have decided to focus on the preamble of the Constitution which presents India as “a sovereign, socialist, secular democratic republic” and promise social and economic justice liberty of thought and religion, equality and human dignity for its citizen. “In this first stage, we have decided to focus on the preamble of the constitution,” said Archbishop Thomas D’Souza of Kolkata, who heads the education and culture office. In its preamble, India's constitution presents the country as "a sovereign, socialist, secular, democratic republic" which will secure social and economic justice, liberty of thought and religion, equality and human dignity for its citizens. “We generally teach students everything but not the values of constitution, our sacred book,” said Archbishop D'Souza. He said the church’s effort is to develop a generation of Indians who accept the values of equality for all beyond the differences of caste, religion and wealth. The Catholic Church in India runs more than 50,000 education institutions including 400 colleges, six universities and six medical schools. “Our constitution is the only binding force that keeps us all together,” he said. The constitution was proclaimed three years after India gained freedom from the British in 1947. Several church groups have since held meetings about how to study and educate others on the constitution's values, how to stress equality, justice and the religious freedom of the people, particularly of the socially poor Dalit and indigenous peoples. 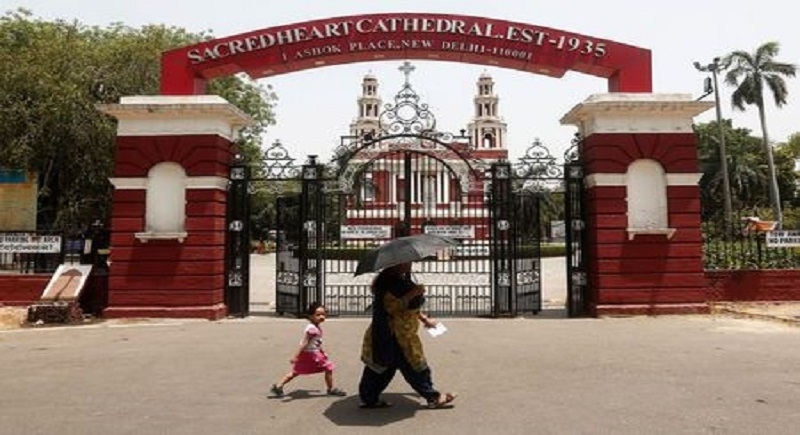 Recently two archbishops issued separate pastoral letters that stressed the human rights, secular and democratic ideals of the constitution, which irked leaders of India's ruling pro-Hindu Bharatiya Janata Party (BJP). Following the letters, some BJP leaders accused church leaders of trying to influence voters against the ruling party ahead of 2019 national elections. Local church officials have also been accused of tarnishing the image of India at the behest of the Vatican. After coming to power in 2014, the BJP government has been facing criticism from rights groups and secularists, who say it tacitly supports Hindu groups who commit violence against religious minorities such as Christians and Muslims. The BJP has also been accused of striving to make India a Hindus-only nation.